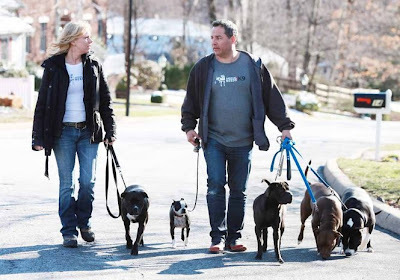 NEBTR member Mike Pravec and his wife Stacey Arbeit-Pravec are the founders of Special Needs K9, a non-profit organization dedicated to helping the most needy of shelter dogs. They help those given up on by everyone else, and give them a second chance. Recently, they were featured in the Star Ledger and Bergen Record. Mike reports, "We were very fortunate today to have an article written and published about our rescue on the front page of the Star Ledger Newspaper (New Jersey section) and on page 4 of the main section of the Bergen Record Newspaper. I also received a phone call from a radio station 1450AM this morning and had the opportunity to speak live on radio about animal rescue. Here is a link to the on-line version which also includes a video of us with the Star Ledger." Congratulations to Mike and Stacey for this recognition of the amazing work that they do. 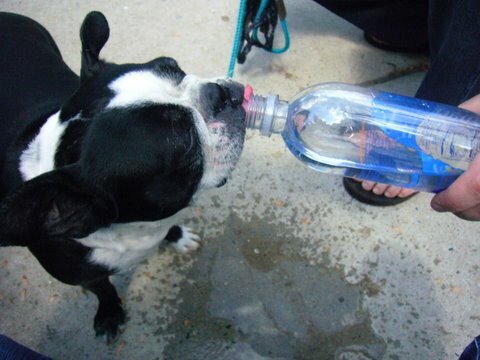 Visit their website, Special Needs K9, as well to read more about the pups they have lovingly helped.